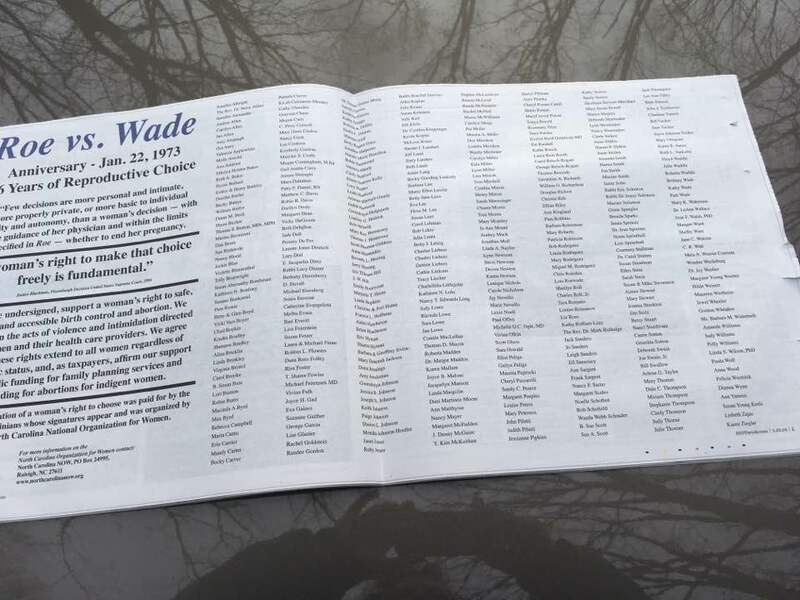 You can still contribute to NOW’s work at https://northcarolinanow.wordpress.com/pro-choice-signature-ad/ but your next chance to get your name in is January 2020. The ad should run on the actual Roe v. Wade anniversary itself, Jan 22. This entry was posted in abortion, pro-choice, reproductive rights, Roe v Wade and tagged abortion, pro-choice, reproductive rights, Roe v Wade. Bookmark the permalink.